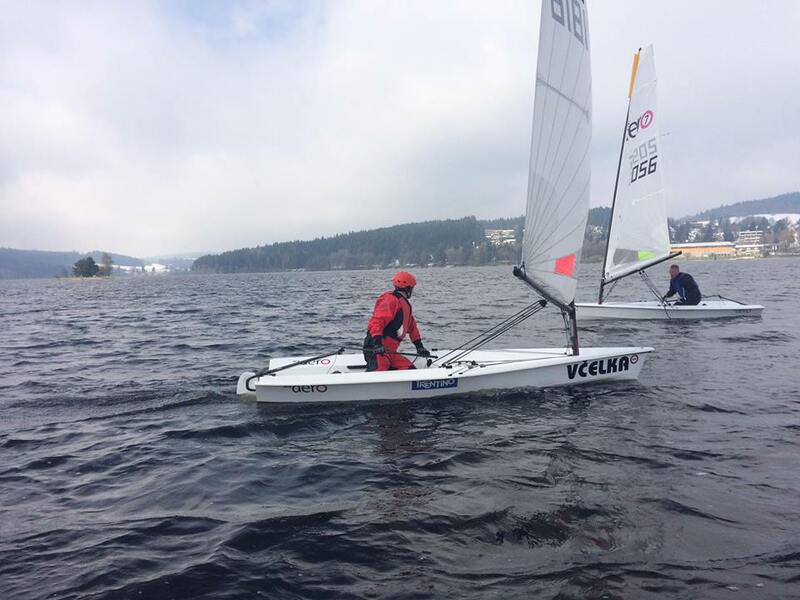 The first event of the Czech Republic Cup for RS Aero, RS500, RS700 and 29er - the Grand Prix of YC Lipno, was raced in some very interesting conditions. The arrival itself was complicated by the calamity of the snow situation on the roads. In the vicinity of our largest reservoir during Friday, 10 cm of snow occurred! However, the organizers decided to hold the race, given the weekend forecast. 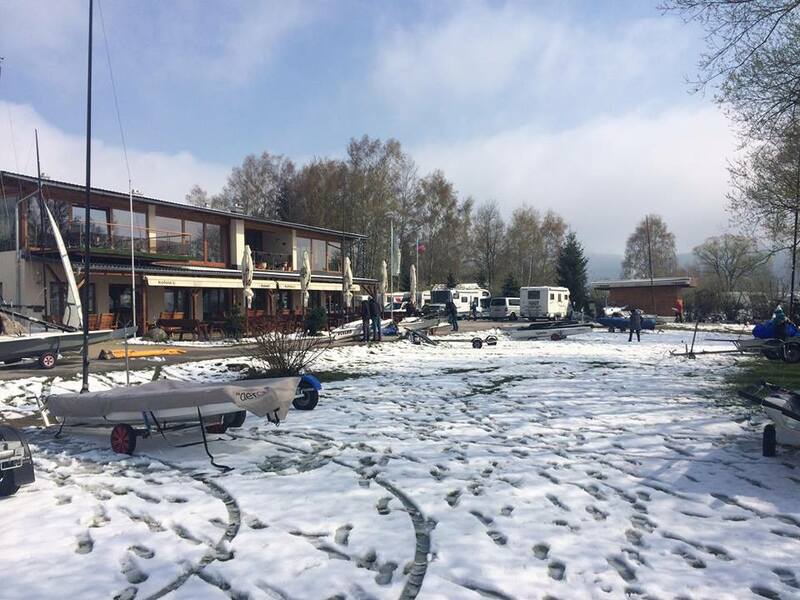 On Saturday morning the ships were preparing for snow, but in the beautiful sunny weather the snow on the ground quickly disappeared. The snow only stayed on the hills and slopes, so we have unusual photos with a white background! Six RS Aeros entered the race. 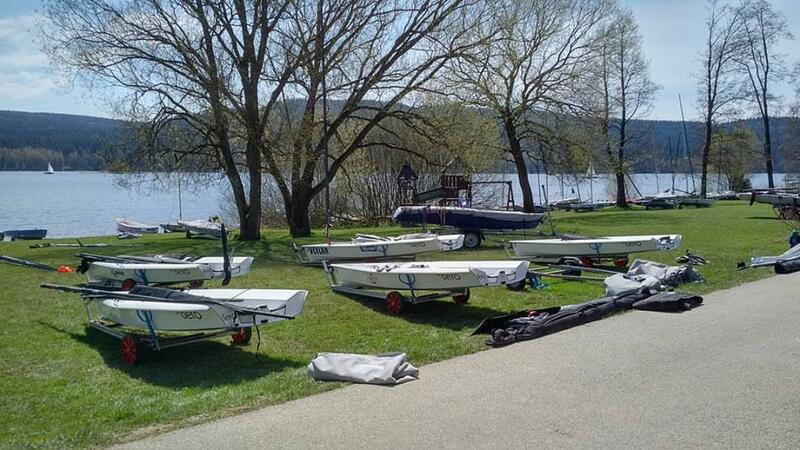 Three races in the wind from 6 to 15 knots were made on Saturday. Sunday morning was windy, cold, but sunny again. 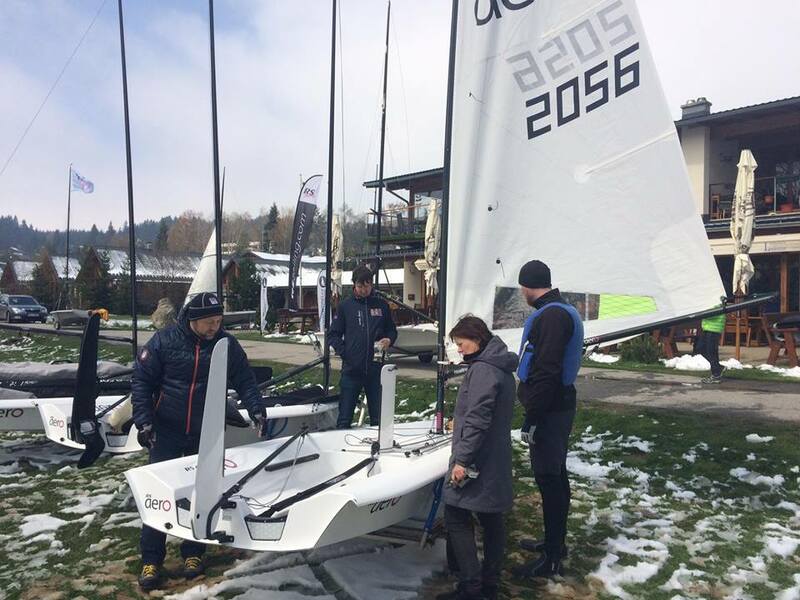 The strong oscillating wind produced a testing time for both competitors and race committee. In these harsh conditions, only two races were completed. In the evening, the athletes gathered at the fire, and instead of the witches, they burned a couple of sausages. 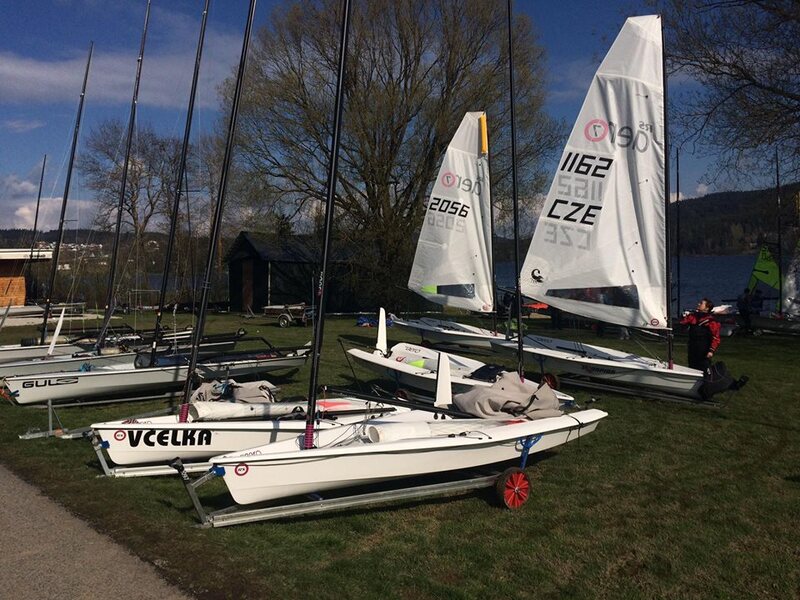 In the early morning, a weak to moderate wind blew, allowing only one racing that was literally the icing on the cake - the spring part of the Skiregatta RS Aero and RS500. 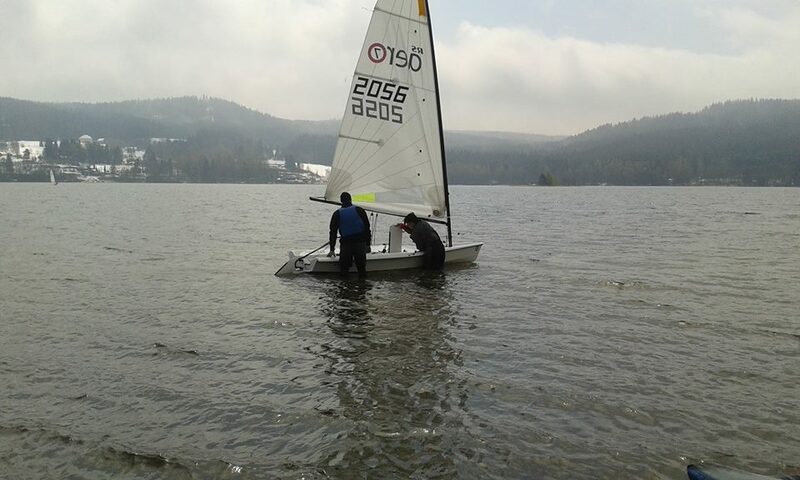 A common start, a short track and a weak wind created an interesting situation - the light RS Aeros took the first three places and surpassed the RS500s.